Beer pong is a bit of a favourite here at Gadget HQ. When the day's work is done, we can often be found tossing balls at cups and getting progressively tipsier in the process. But here's the problem: practice, as you know, makes perfect, and most of the GI staff can end the game in half a dozen throws nowadays. The challenge is fading, and the whole boozy endeavour has become significantly less thrilling than it used to be. 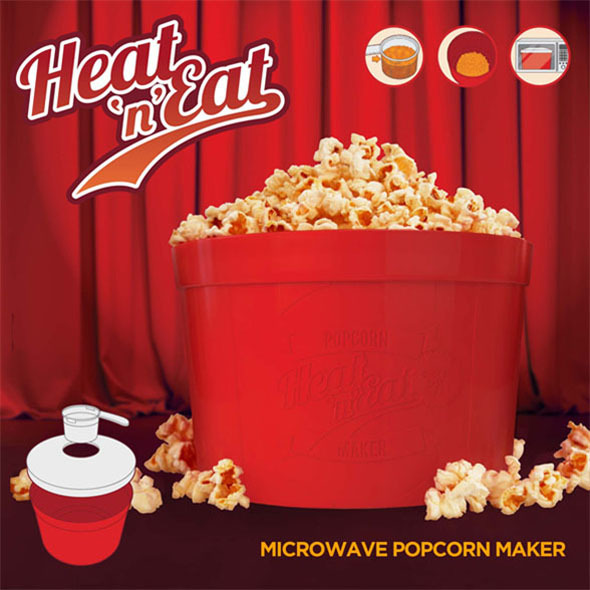 Thank goodness, then, for Twist Pong. True to its name, this game puts a fresh new twist on the beer pong we all know and love - you still have to throw balls at cups, but if your opponent's ball lands in one of your cups, your fate will be decided by the spinner! As you can see, anything can happen, and it won't necessarily be good news for the player who just scored! 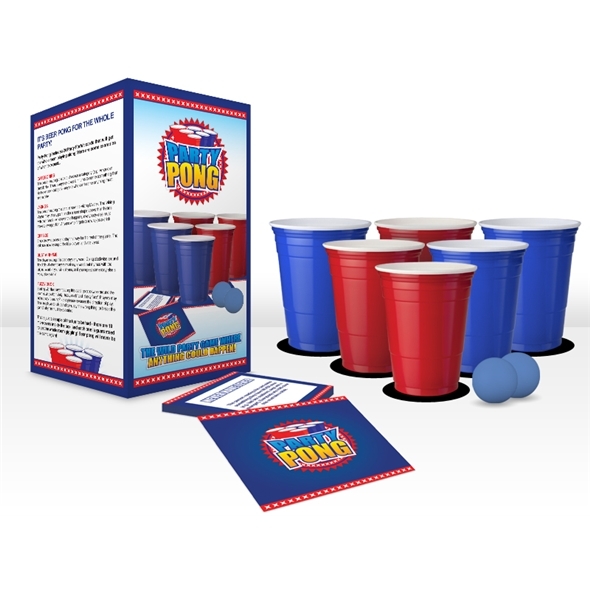 Twist Pong is a boon to beer pong fans everywhere. 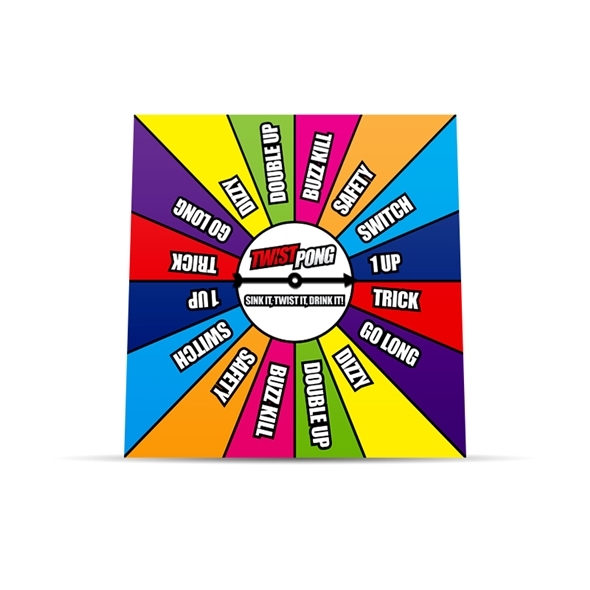 That spinner breathes new life into a classic party game, and with all those different rules, you'll be on the edge of your seat until the very last cup! 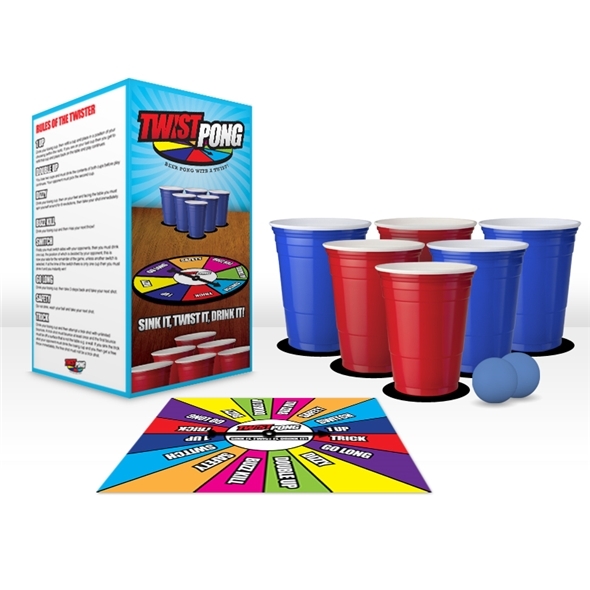 Click here to order a Twist Pong set for your next party, or visit our Party Games department for more like this!